The Genworth Homebuyer Confidence Index (HCI) has risen for a third consecutive period since March 2014. The HCI considers the proportion of monthly income used to service debt, the maximum loan-to-value ratio borrowers are comfortable with, their repayment history over the last 12 months and expectations for the next 12 months and whether respondents think it is a good time to buy property. The 11th edition of Genworth’s Streets Ahead reports that respondents’ attitudes remain positive towards property. The increase in the HCI was mainly driven by a decrease in the number of respondents using more than 50 per cent of their income to service debt, down from 29 per cent in March to 23 per cent in September 2015. This coincides with the Reserve Bank of Australia’s (RBA) official cash rate cut in May 2015 to 2.00 per cent which would have improved affordability of mortgage repayments for many homeowners. 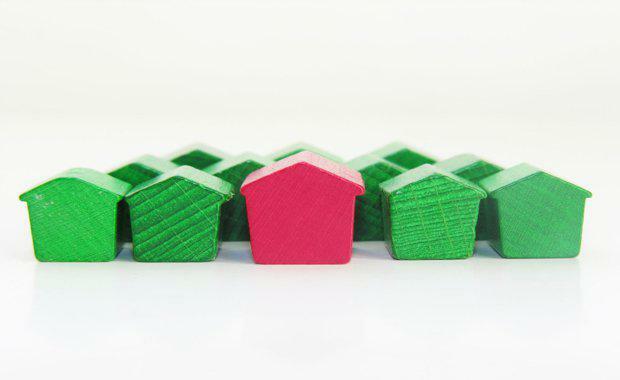 “Whilst the HCI has reached a post-GFC high, those that believe it is a good time to buy a home has fallen to 48 per cent, from 52 per cent six months ago. This was mirrored by those that thought it was a good time to invest in property which also fell from 47 per cent to 44 per cent in the same period,” said Genworth Chief Commercial Officer Bridget Sakr. “Our research suggests that despite the perception that the property market is overheated, Australians do not believe property prices will fall. In fact, over half of respondents expect prices will increase in the next 12 months with 57 per cent believing prices will continue to increase in the next 24 months. 86 per cent of respondents believe that property prices will either remain stable or increase in the next year. "The rise of Sydney house prices is likely to have impacted confidence more than average in New South Wales with those who believe it is a bad time to buy a home at 25 per cent compared to national average of 18 per cent. The research shows that views on property prices have a small impact on timing and that ultimately interest rates and personal circumstances are more likely to determine whether now is a good time to buy a property. Unsurprisingly, the survey indicates that accessibility (the ability to enter the property market), as opposed to affordability (the ability to meet mortgage repayments), remains the key challenge for those wishing to enter the property market. “Two in five prospective first homebuyers indicated that high property prices are the greatest barrier to home ownership, while one in five suggested the barrier is saving for a deposit. This is consistent with March’s Streets Ahead findings and shows no improvement,” Ms Sakr said. First Homebuyer (FHB) confidence decreased from 102.1 in March to 98.4 in September 2015, driven by a higher proportion of FHB’s who experienced mortgage stress 21 per cent (up from 9 per cent in March 2015) and those who expected mortgage stress 14 per cent (up from 8 per cent in March 2015). FHBs were also more likely to use sources other than their own savings for a deposit, a trend that has increased. Only 51 per cent said they sourced the money for their deposit from savings, down from 66 per cent in 2014 and 72 per cent in 2013. FHBs are increasingly turning to alternate sources of debt including credits cards (19 per cent up from 3 per cent in 2013) and personal loans (18 per cent up from 8 per cent in 2013). This reliance on other sources of debt to fund deposits may explain why FHBs are more likely to be heavily indebted, at 35 per cent compared to the average of 23 per cent. “Saving a deposit clearly remains a key obstacle for first homebuyers looking to enter the market and points to the importance of low deposit options such as Lenders Mortgage Insurance (LMI) with more than half of first homebuyers and first time investors having used LMI,” Ms Sakr said. “Two in five (40 per cent) prospective first homebuyers expect to save a deposit of up to 10 per cent while a further 39 per cent believe they need a deposit of between 11 and 20 per cent. Only 21 per cent expected a deposit of more than 20 per cent was required. "If purchasers were forced to save or secure a 20 per cent deposit, 30 per cent of respondents said they would have to wait longer to purchase while they saved a larger deposit and a further 14 per cent said they would abandon their plans to enter the property market altogether.